A Drop-In Visit to White Oak Fur Post Deer River, MN, June 2002 Deer River, MN, June 2002 by Connie Quirk. 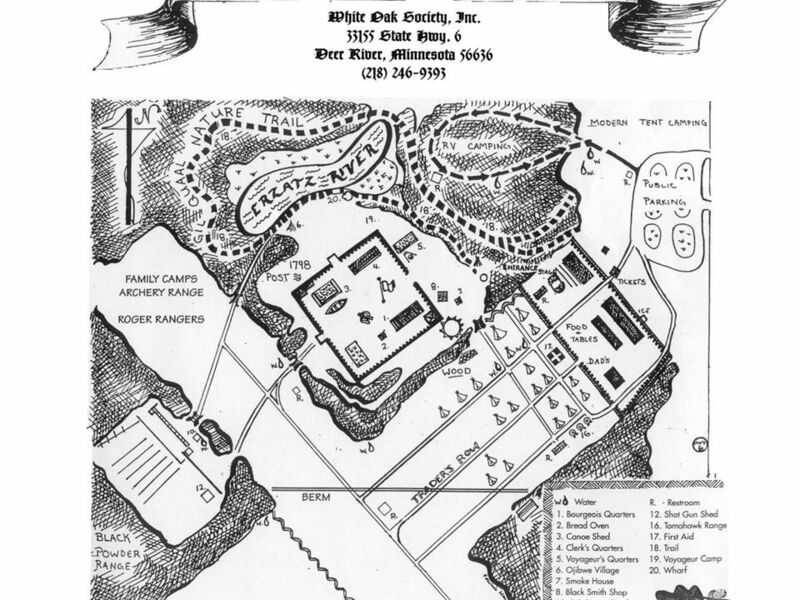 2 For 14 years Perry Vining, a 1970 SDSU graduate and theater major, has envisioned and developed 80 acres of land one and a half miles north of Deer River, Minnesota (up north) creating the White Oak fur post of the 1798 era. Interesting side note: Perry Vining and Bushnels Dave Huebner co-founded the Brookings Art Festival. 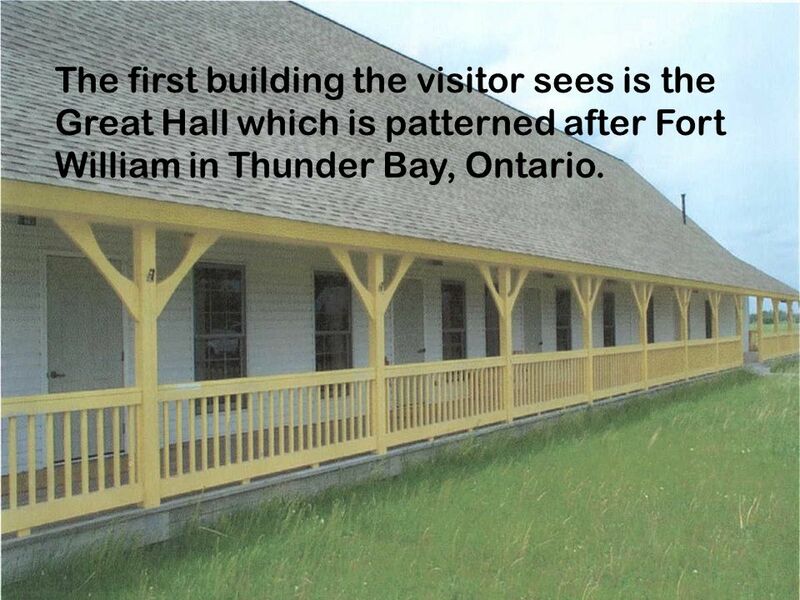 3 The first building the visitor sees is the Great Hall which is patterned after Fort William in Thunder Bay, Ontario. 4 Inside, period meals are served on special occasions. 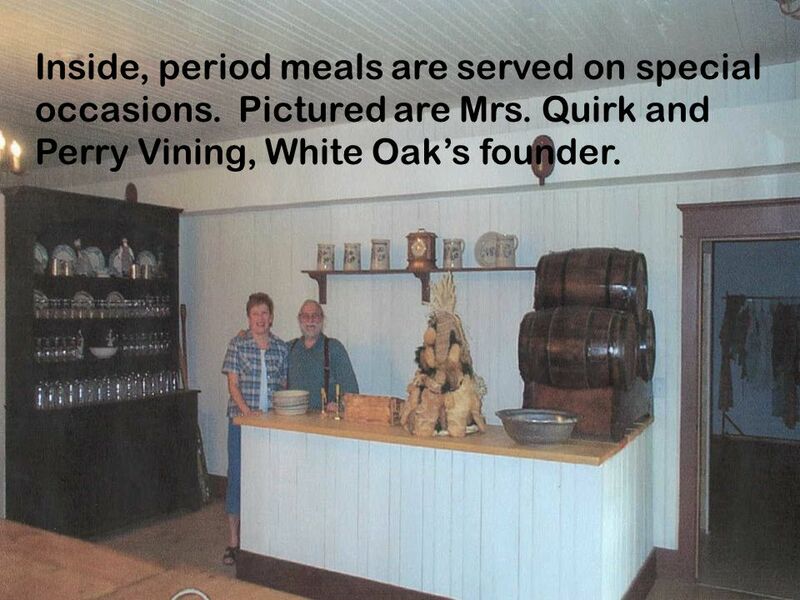 Pictured are Mrs. Quirk and Perry Vining, White Oaks founder. 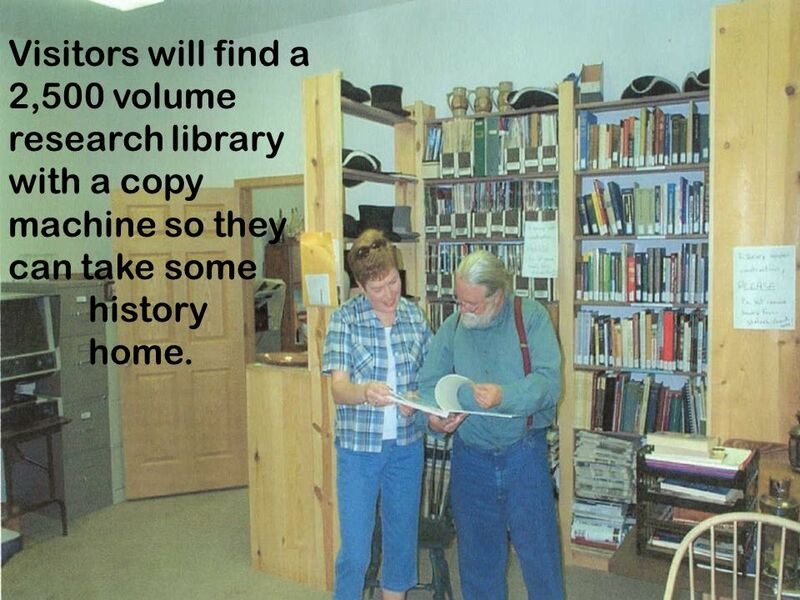 5 Visitors will find a 2,500 volume research library with a copy machine so they can take some history home. 6 Note the authentic beaver hat to the right of the jug. 7 Outside, visitors enter the fur trading post built by local volunteers. 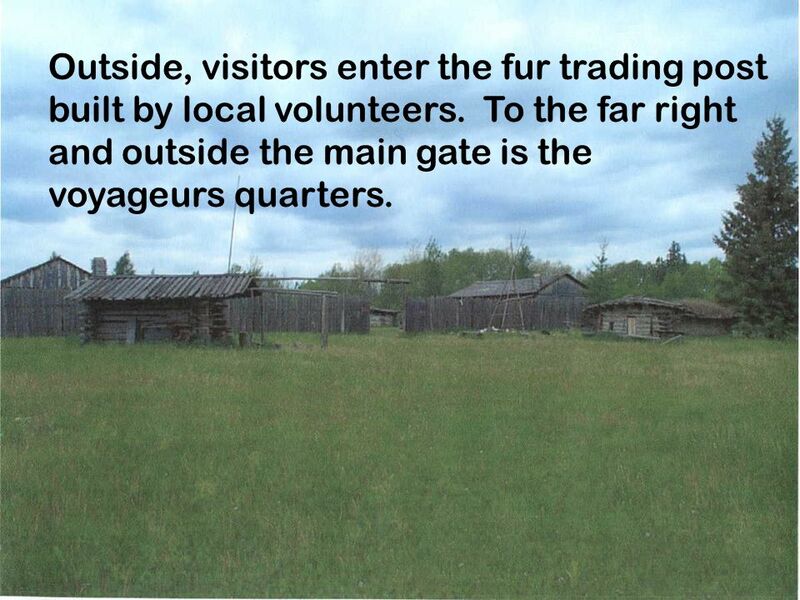 To the far right and outside the main gate is the voyageurs quarters. 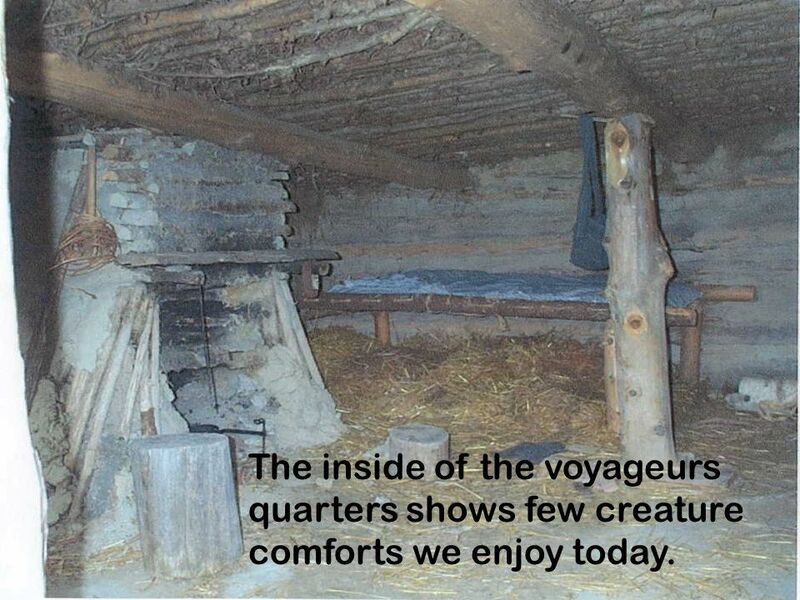 8 The inside of the voyageurs quarters shows few creature comforts we enjoy today. 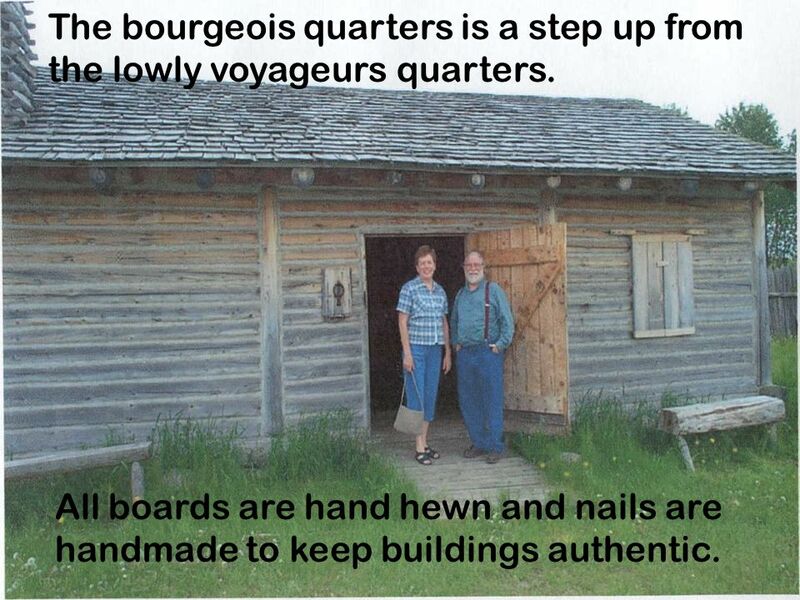 9 The bourgeois quarters is a step up from the lowly voyageurs quarters. All boards are hand hewn and nails are handmade to keep buildings authentic. 10 The blacksmith shop has an old- fashioned bellows to keep the fire hot. 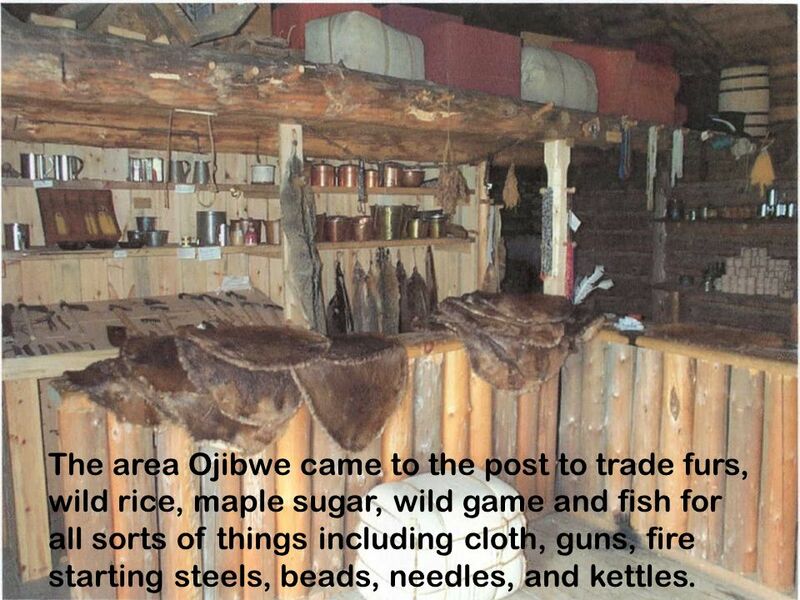 11 The area Ojibwe came to the post to trade furs, wild rice, maple sugar, wild game and fish for all sorts of things including cloth, guns, fire starting steels, beads, needles, and kettles. 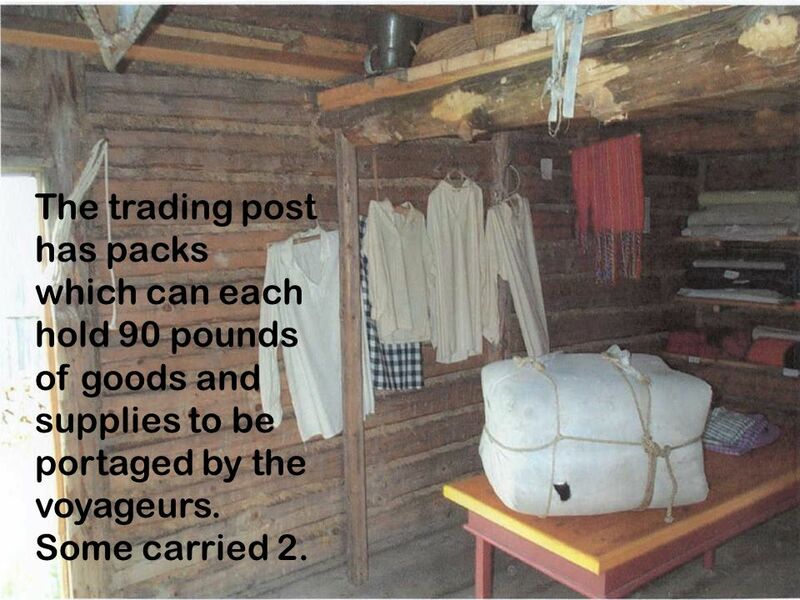 12 The trading post has packs which can each hold 90 pounds of goods and supplies to be portaged by the voyageurs. Some carried 2. 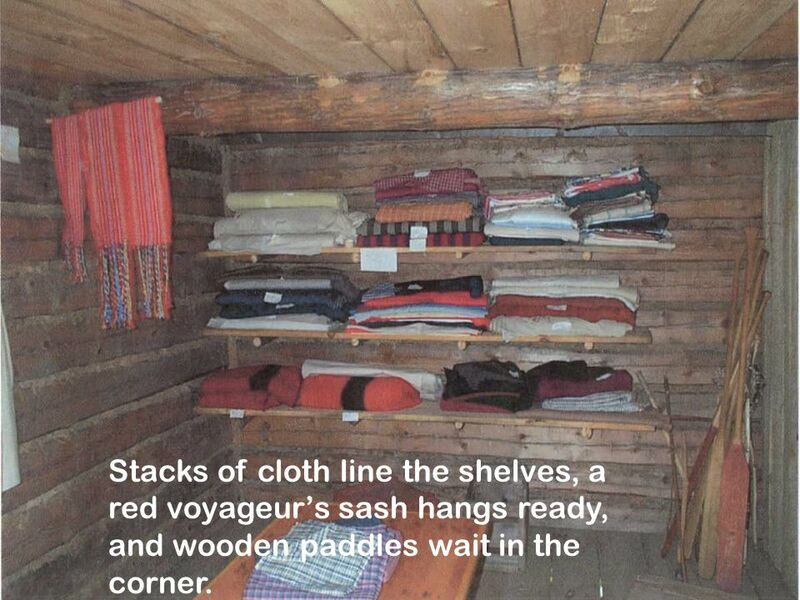 13 Stacks of cloth line the shelves, a red voyageurs sash hangs ready, and wooden paddles wait in the corner. 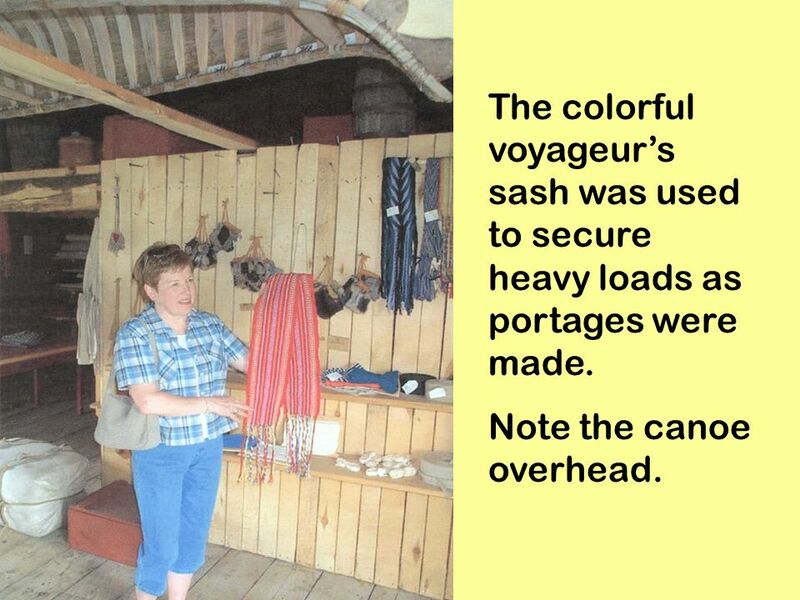 14 The colorful voyageurs sash was used to secure heavy loads as portages were made. Note the canoe overhead. 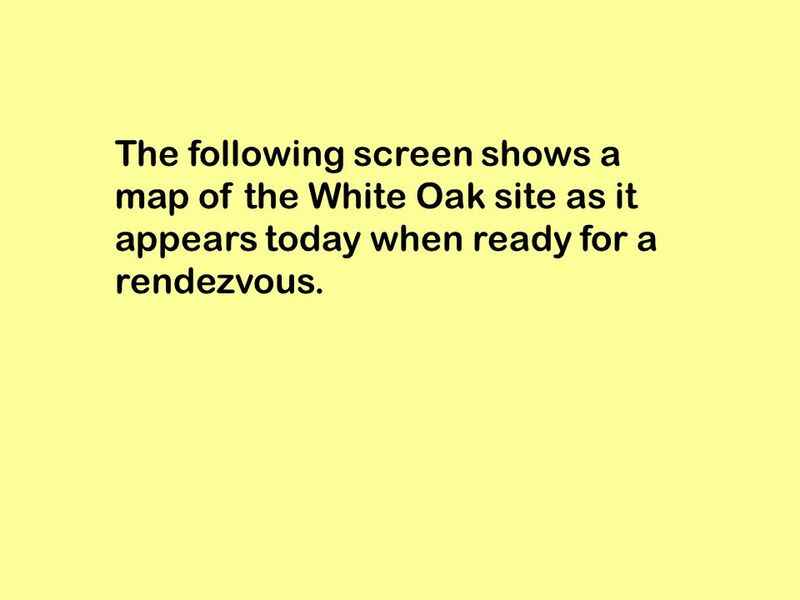 15 The following screen shows a map of the White Oak site as it appears today when ready for a rendezvous. 17 Did you notice the Erzatz River on the map? It means bogus. 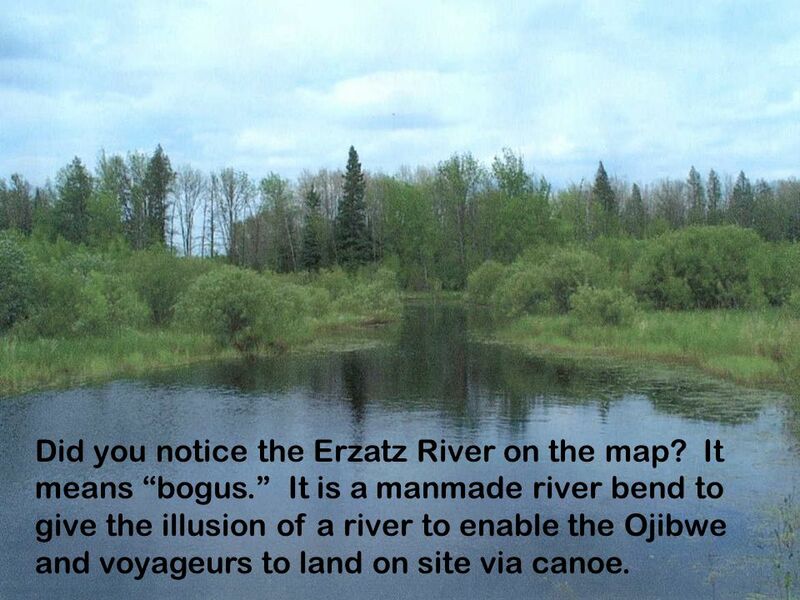 It is a manmade river bend to give the illusion of a river to enable the Ojibwe and voyageurs to land on site via canoe. 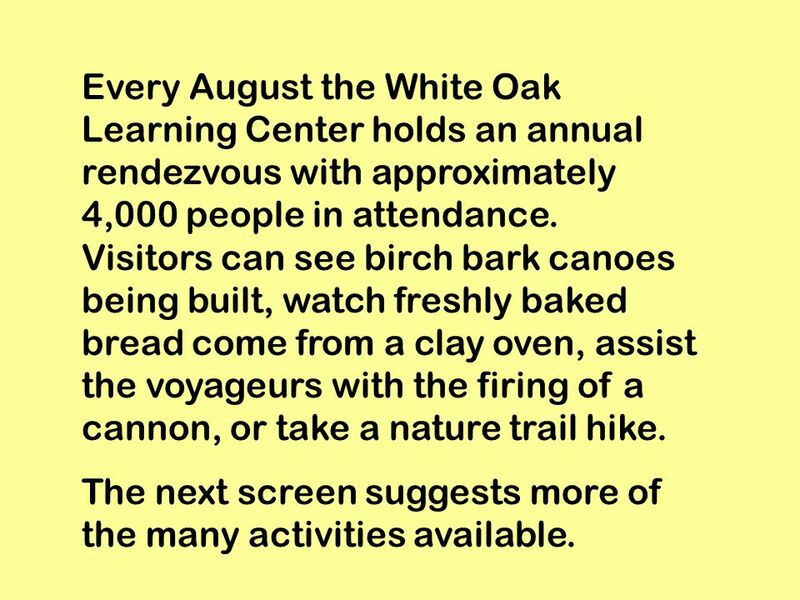 18 Every August the White Oak Learning Center holds an annual rendezvous with approximately 4,000 people in attendance. Visitors can see birch bark canoes being built, watch freshly baked bread come from a clay oven, assist the voyageurs with the firing of a cannon, or take a nature trail hike. The next screen suggests more of the many activities available. 20 Kids Day is in May with over 1,000 school kids enjoying many of the activities going on in this historical setting. 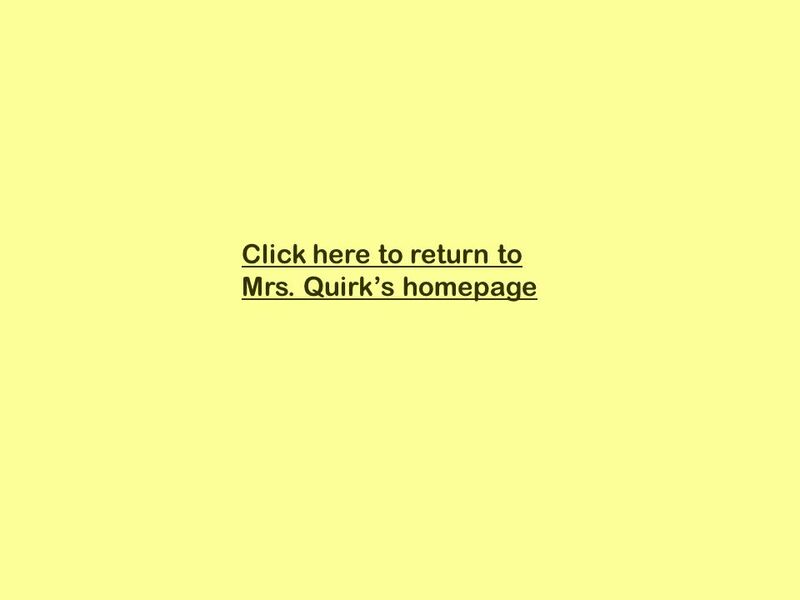 Www.whiteoak.org is a site created to enhance student learning, helping kids to get in the spirit of the times and to get a deeper understanding of this exciting era. Perry Vining has also established similar kids days in early October in Albert Lea, Minnesota. 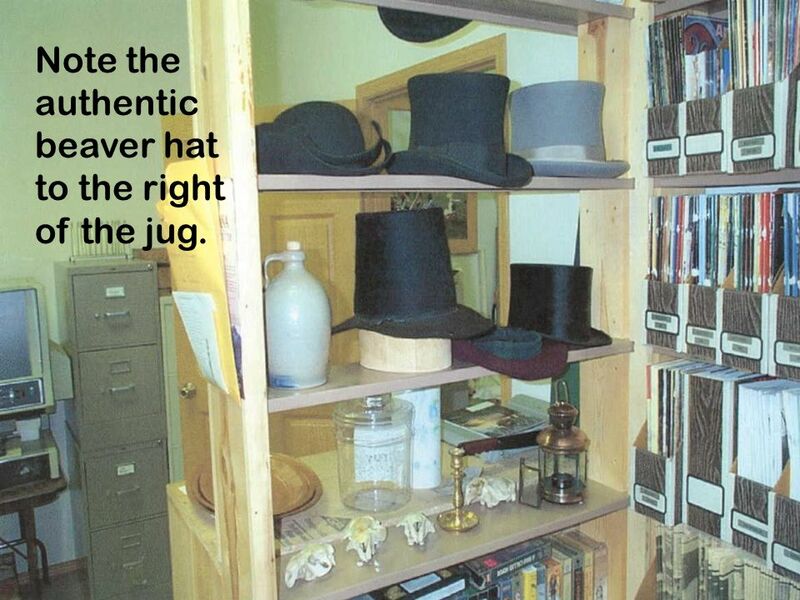 Hats off to you, Mr. Vining! 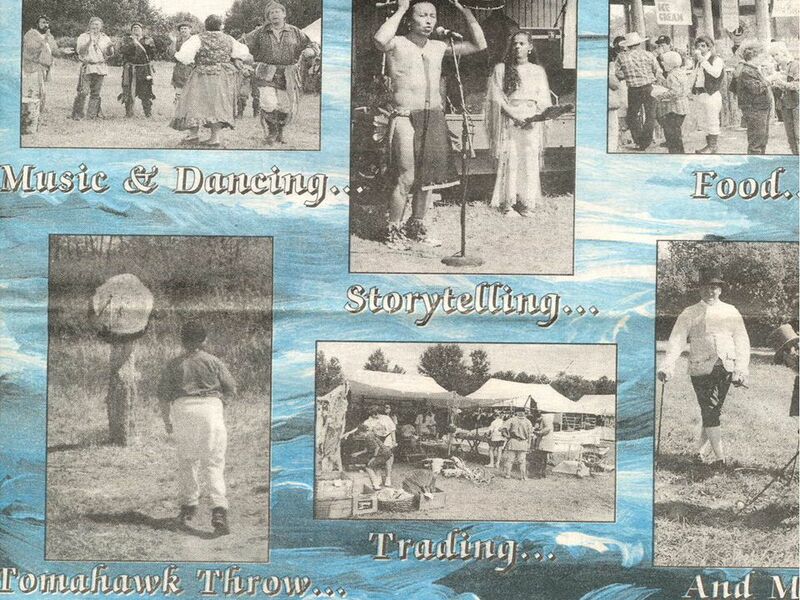 Download ppt "A Drop-In Visit to White Oak Fur Post Deer River, MN, June 2002 Deer River, MN, June 2002 by Connie Quirk." Native Americans of Virginia A Powhatan man. Fur Trade In Minnesota Review of Mr. Beckmans Voyageur Presentation. BY: EMMA & MOLLY Anishaabeg, Ojibwa, & Chippewa. Anishaabeg, Ojibwa, Chippewa Locations The Anishaabeg, Ojibwa, and Chippewa are found in West and North. Welcome! Please get your D.O.R.s set up like this: D.O.R. Q2:3 FIRST AND LAST NAME HOUR 1/61/13 1/71/14 1/81/15 1/91/16 1/101/17 ***TURN IN! D.O.R. for 12/1 1.) Name something fun you did over Thanksgiving break. 2.) Which side of your brain book should class notes go on? Historic Jamestowne An Introduction to the buildings and sites of the first permanent English sites of the first permanent English settlement in North. Have you been to any of these places? Crisafulli Elementary School Created by Mrs. Maher. Pequest Trout Hatchery & Natural Resource Education Center Located on Route 46 in scenic Warren County New Jersey. The Northwest in 1800 Chapter 4 SS 10. Hudson’s Bay Company Hudson’s Bay Company  Started by Pierre Radisson and Medart de Groseillier in 1670  King. SS10 Mr B Nov 8th, 2012 The Fur Trade, HBC Vs NWC, & Expansion of the West. Native Americans of the Pacific Northwest: Kristi Walker Medina Middle School Fourth Grade. Bent’s Fort A Meeting Of Cultures. Looking to the East. Field Trip This is the place were the Blacksmith would work. 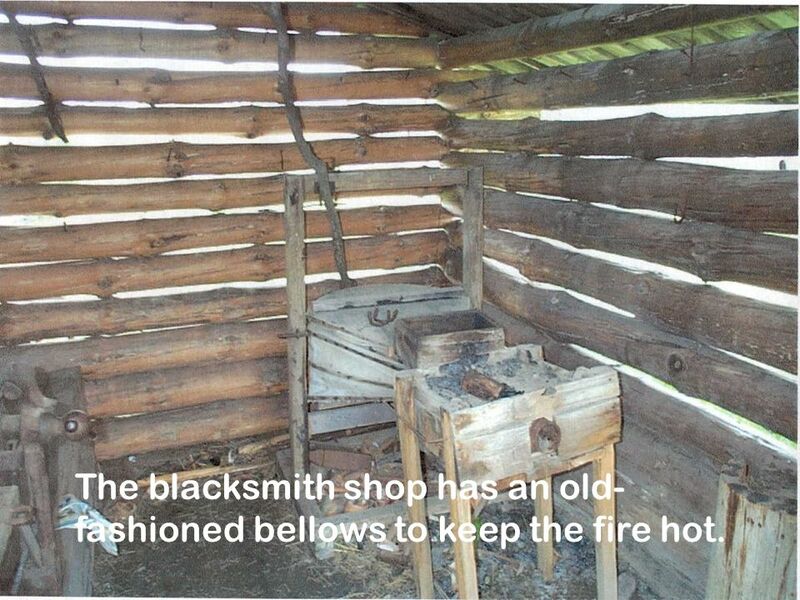 It was better for the Blacksmith to use coal then it was to use wood. Because wood would go. Copyright 2006 Wisconsin History Press, Inc All Rights Reserved A Visual Resource for Teachers and Students of THE WISCONSIN ADVENTURE. What do I know about the Washington Fur Trade?. The Beginning – 1776 Captain Cook’s ship takes otter fur to China Ending: 1840’s. Started Dec, 3 rd, Summary Banff national park is one of the first national parks ever created in Canada of the many. Banff has clear lakes high. THE FISHING LINE February and Valentine’s Day brings back many memories of my childhood. It’s always exciting to either purchase Valentines or make your.